With the holidays approaching, there are even more opportunities to socialize and celebrate with drinks. And, it goes without saying that many alcoholic drinks are full of empty calories and sugar. But, your favorite cocktail shouldn’t weigh heavy on your waistline. Luckily, there are several low-calorie alternatives to your go-to beverage. So, whether you’re watching your diet or generally lead a healthy life, you don’t have to give up a good cocktail or a good time. You’ll find these 5 drinks under 200 calories and more at Chevys. 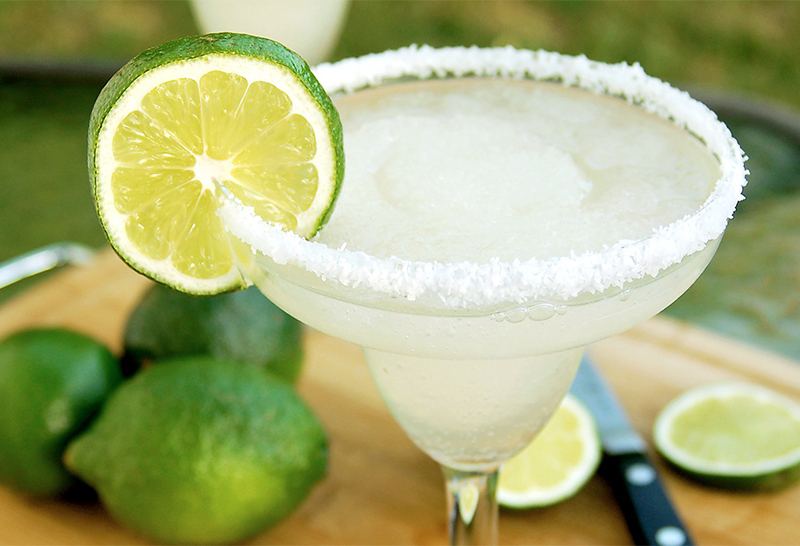 Your favorite classic Margarita without the excess calories and sugar. Our lighter version of the Skinny Margarita is delicious, simple, and won’t throw you off course. Most importantly, we promise you won’t be missing any of the flavors you love in the original Margarita. No wonder it’s one of the most popular drinks under 200 calories. The Cadillac Margarita is the perfect mixture of top-shelf tequila, triple sec, and sweet & sour mix. At Chevys, we shake up the 3 ingredients and strain it into a Margarita glass over ice. Then, we garnish the glass with a salt rim and serve it to you with a side shot of Gran Marnier (our favorite part). 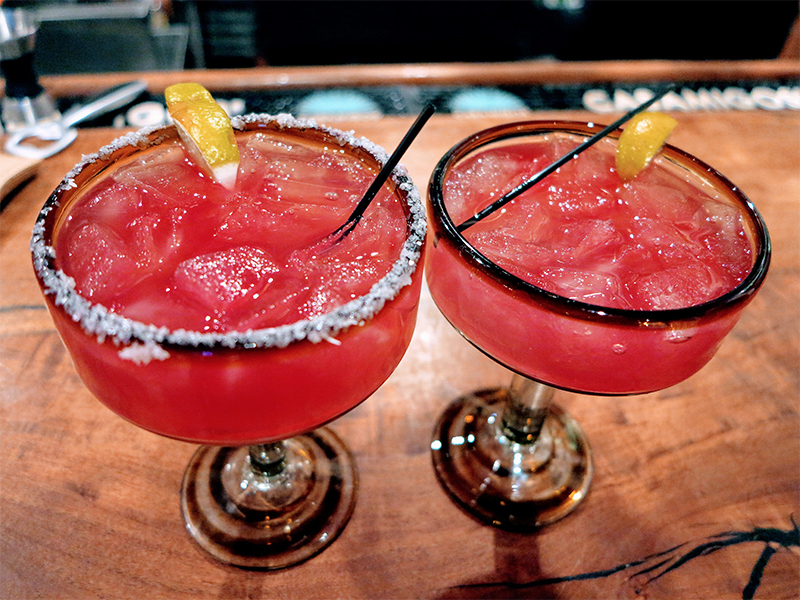 Note: Add a flavor to your Cadillac Margarita, such as Strawberry, Raspberry, Melon, Mango or Peach. While the Mojito is a popular summer drink, the fresh ingredients and subtle sweetness leave us sipping this cocktail all year round. It’s true that the combination of lime citrus, mint flavors, and sweet rum make for an undeniably refreshingly drink. And, if you’re like us, when you do have a cocktail you want it to be the best. Even more, Mojitos are fairly low in calories, although you would never suspect it. The Prickly Pear cocktail is one of our favorite low-calorie drinks as it is unique, sweet, and pure. Prickly Pear is a refreshingly sweet fruit that is rich in antioxidants, fiber, and minerals. Not to mention, this sharp fruit is commonly harvested and eaten throughout Mexico. For those who love whiskey, this cocktail was created for you. And, with winter in full bloom, there’s no better time to break out the bourbon. The Blackberry Smash is similar to a mojito, but with bourbon instead. The result is a crisp, refreshing, and versatile drink, suitable for any time of year. For this cocktail, we take tart blackberries and muddle them with fresh basil until smooth. Then, we serve it over ice with whiskey in a rocks glass. Bring your friends and family into Chevys and try one of our 15 versions of the Margarita. Or, grab a cerveza (AKA beer)! We carry over ten bottled beers, including light beers like Corona Light and Bud Light. Also, check out our drink menu for more drinks under 200 calories, our favorite libations, and wine.